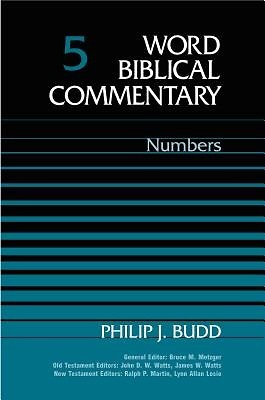 From this outline it becomes apparent that the book of Numbers accounts for that period of Israelite history known as the -wilderness wanderings, - which begins with the flight from Egypt and closes with the Israelites' successful entry into the Promised Land. Here are explanations of the origins of Levitical priesthood, of Israel's holy feasts, of the sobering results of rebellion against God, of the minutiae of the law, and of the blessings promised those who, like Caleb and Joshua, can -spy out the land, - assess its giants, and still live by faith. While some modern readers feel distance from the Jewish laws for lepers, or the dietary requirements laid down in these writings, Dr. Budd shows the formative influence such material had in transforming the sons of Abraham into the nation of Israel. Dr. Budd's treatment gives due respect to the present canonical state of the text, while inquiring also into the forms in which much of this material must have been originally cast. His comments provide authoritative illumination of this important period in Old Testament history.